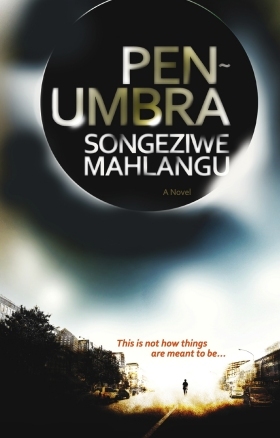 Congratulations to Songeziwe Mahlangu who has won the #EtisalatPrize2014 #EtisalatPrizeforLiterature! – Time of the Writer Festival, this year in partnership with Gcinamasiko Arts & Heritage Trust – University of KwaZulu-Natal, Durban, March 16-21. – Short Story Day Africa launch both their new short story anthologies, Terra Incognita, edited by Nerine Dorman, and Follow the Road, a collection by Africa’s younger SSDA competitors and writers, edited by Maire Fisher and Tiah Beutement – at the Book Lounge, Cape Town, on Wednesday March 18. – The University of Cape Town in partnership with the Man Booker International Prize 2015 are running a series of public events and seminars, as well as writing workshops and school visits – remaining events from Tuesday March 24, when the finalists for this year’s prize will be announced in Cape Town. – Franschhoek Literary Festival 2015 – tickets are now on sale for events that last year largely sold out in advance. Includes a Book Week for Young Readers, the FLF Library Fund, a partnership with the inaugural Poetry for Life competition and the first in a series of annual lectures delivered at the Festival in memory of Andre Brink – Franschhoek, May 15-17. One of South Africa’s longest running literary festivals, this year’s Time of the Writer has already begun – with its opening session yesterday evening (March 16); the full programme of events starts proper today (Tues March 17) and runs until Saturday (March 21). Presented by the Centre for Creative Arts at the University of KwaZulu-Natal, Durban, Time of the Writer’s week-long programme brings together writers, publishers and editors for literary exchange and dialogue, with a focus on encouraging a culture of creative expression through reading and writing and providing a platform for emerging KwaZulu-Natal literary talent. In addition to the evening events (programme here), the Festival also organizes a range of free daily activities across schools, community centres and tertiary campuses in Durban and the surrounding areas, including: school visits and workshops, reading sessions and panel discussions, a publishing forum, as well as the Educator’s Forum on the uses of literary fiction in the classroom, and the Community Writing Forum. Its annual short-story writing competition has already run (the winners receive cash prizes, book vouchers and complimentary tickets to the festival), and this, the 18th edition of the festival, includes a Storytelling Focus in partnership with Gcinamasiko Arts & Heritage Trust, an organization committed to the provision of writing and story-creation in schools and education institutions, especially for those who have poor access to resources, promoting a culture of reading and the heritage of story-telling. The ever excellent indy bookshop the Book Lounge will host Short Story Day Africa’s launch party of both of their new anthologies, Terra Incognita, stories from SSDA’s 2014 competition edited by Nerine Dorman, and Follow the Road – ‘a kaleidoscopic collection of stories’ from the competition for Africa’s younger writers – edited by Maire Fisher and Tiah Beautement. The event will feature appearances, readings and speeches from the team at SSDA, some of the adult and some of the younger writers. 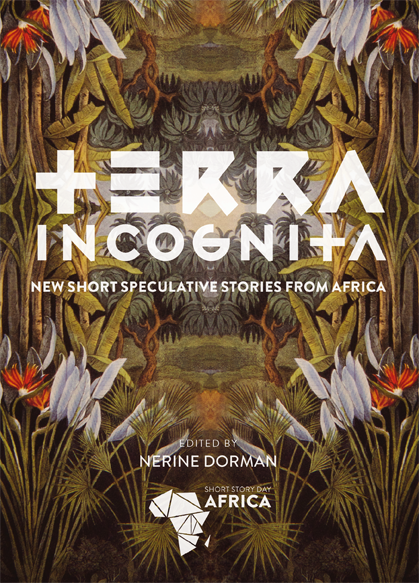 Short Story Day Africa invites you to the launch party of two of their new anthologies: Terra Incognita edited by Nerine Dorman, and Follow the Road, edited by Maire Fisher and Tiah Beautement. The event will take place at The Book Lounge on Wednesday, 18 March, and will start at 5:30 for 6 PM. Cupcakes & African delights served; wine & dancing in the street to follow. RSVP booklounge@gmail.com or via the Book Lounge website. Follow the Road – available via African Books Collective in the UK, Amazon.com and Amazon.co.uk. Terra Incognita – from African Books Collective in the UK; Kindle UK LINK; Kindle USA LINK. South African bookshops to follow – stay in touch via @ShortStoryAFR, on Facebook, or SSDA BooksLive Blog. Terra Incognita is published by Short Story Day Africa in association with Hands On Books. And a panel discussion on ‘World Literature from the Global South’ and the role of the Man Booker International in shaping the global literary field – at the Jameson Hall, UCT, Thursday 26 March, 18.00 (this is a ticketed event – book at www.uct.ac.uk/events). For ‘Postcolonial Style’, an MA in Creative Writing workshop with Nadeem Aslam and Elleke Boehmer (Thursday, 26 March), contact imraan.coovadia@uct.ac.za. This year’s judging panel is chaired by Dame Marina Warner, writer and academic; with novelist Nadeem Aslam; novelist, critic and Professor of English at Oxford University, Elleke Boehmer; Editorial Director of the New York Review Classics series, Edwin Frank, and Professor of Arabic and Comparative Literature at SOAS, University of London, Wen-chin Ouyang. Tickets for the 2015 Franschhoek Literary Festival are on sale as of yesterday. The FLF has, as ever, packed a range of exciting events into its programme, which will run Friday 15 May to Sunday 17, preceded by a Book Week for Young Readers. During Book Week, one of 50 children’s and YA authors and workshop facilitators visits every class in the Franschhoek Valley (around 4,500 learners), workshopping, reading and story-telling. One of the main reasons for starting the FLF in 2007 was to encourage a culture of reading in the Franschhoek valley. This means that each seat you buy makes a contribution to the great cause of creating confident readers. Memorising poetry involves internalising the architecture of a poem, the words and more importantly the connections between the words… It is a way of owning the world – a world that might be very different from your own. It is a way of travelling. the ways in which the so-called ‘minor’ literatures get onto the world literary stage, and how they are read, appropriated, and canonised: in short, the ways they become world literature. Shortlists for both the annual Alan Paton Award for non-fiction and the newly named Sunday Times Barry Ronge Fiction Prize are announced at the Festival. Our thumbnail image for this post is inside the Book Lounge, courtesy of morethanfood.co.za.